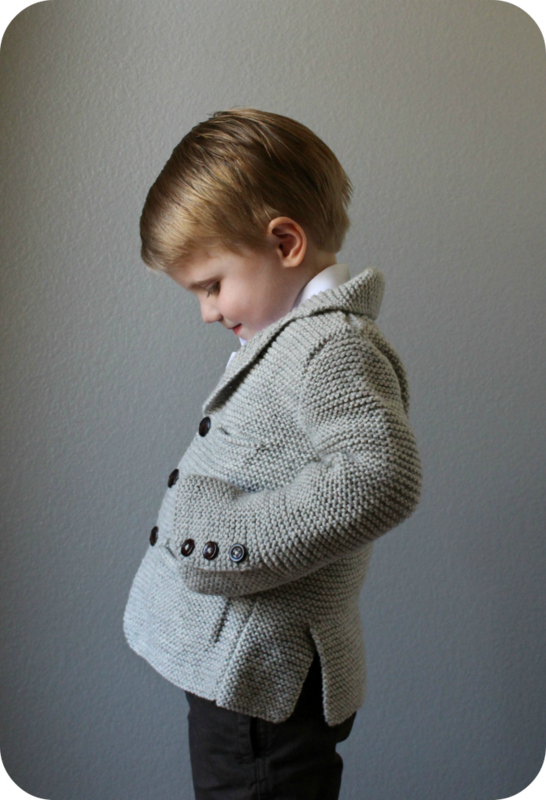 I am so happy to have a pattern included in the Knittin' Little Fall 2015 Collection! Knittin' Little is a new website created by designer Andrea Sanchez. This awesome site is dedicated to providing knitters with patterns for children as well as ways to engage little ones in the love of fiber arts. A proper, gentlemanly jacket for Fall appropriately named "Dapper". 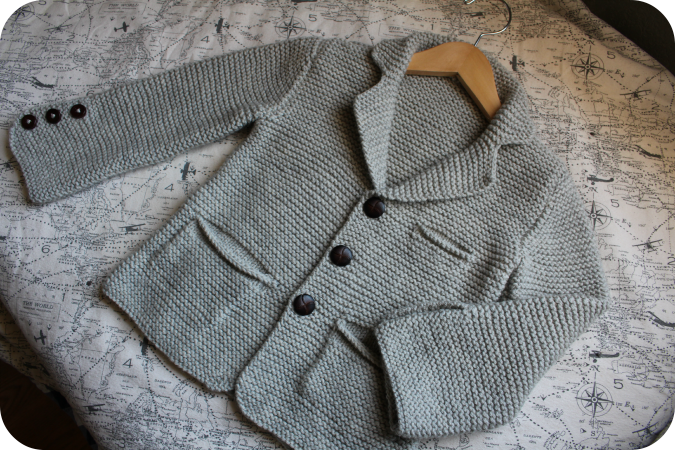 Knit in squishy Garter st, Dapper is complete with all of the pleats, buttonbands, and pockets, of a traditional suit coat. The handsome notched collar and buttonbands are worked right into the jacket fronts for reduced finishing work at the end. and make for such a beautiful finished product. Shown in size 2; to be worn with 2-3" / 5-7.5 cm of positive ease. Cascade Yarns 220 Heathers [100% Peruvian Highland Wool; 220 yd / 200 m per 3.5 oz / 100 g skein]; color 8011; 3 (3, 4, 4, 5, 5) skeins or approx. 550 (625, 700, 800, 925, 1025) yd / 500 (550, 625, 725, 825, 925) m of a worsted weight wool or wool blend. 20 sts / 40 rows over 4” / 10 cm in Garter st on US7 / 4.5 mm needles or size needed for accurate gauge. 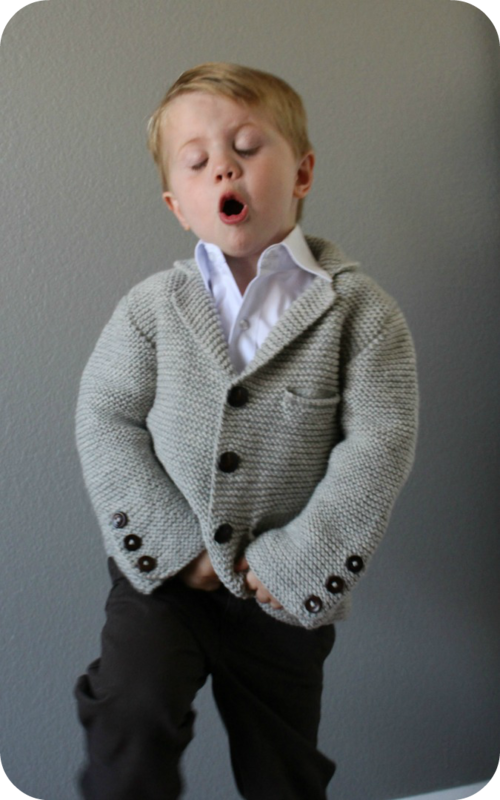 As with any photo-shoot with a 3 year old, there are always the most spectacular out-takes. I call this one... "The most awkward pose ever..."
and finally... his "musical number"
Dapper is available for purchase HERE. Add it to your favorites on Ravelry HERE. oh my gosh, that is so freaking adorable!! 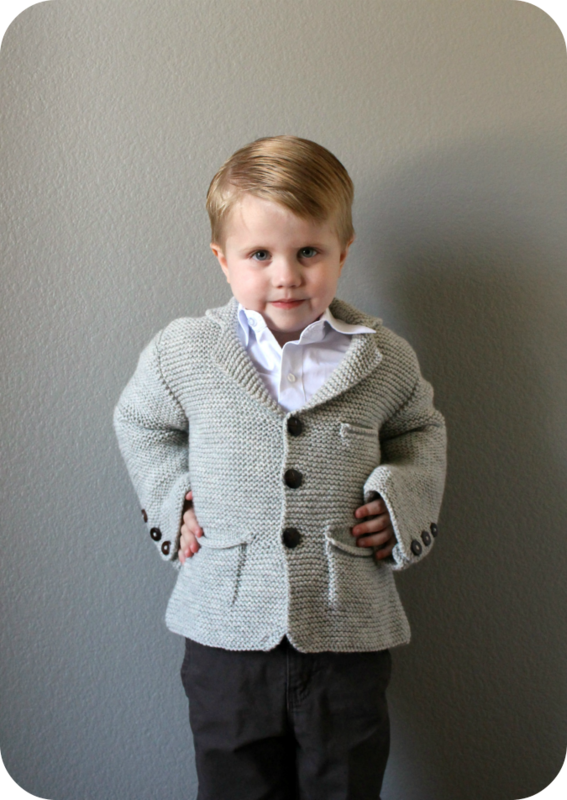 And how sweet does your little guy look in his fab new knitted blazer?! Love it! Very boy approved! Nice work. I am in love with this. 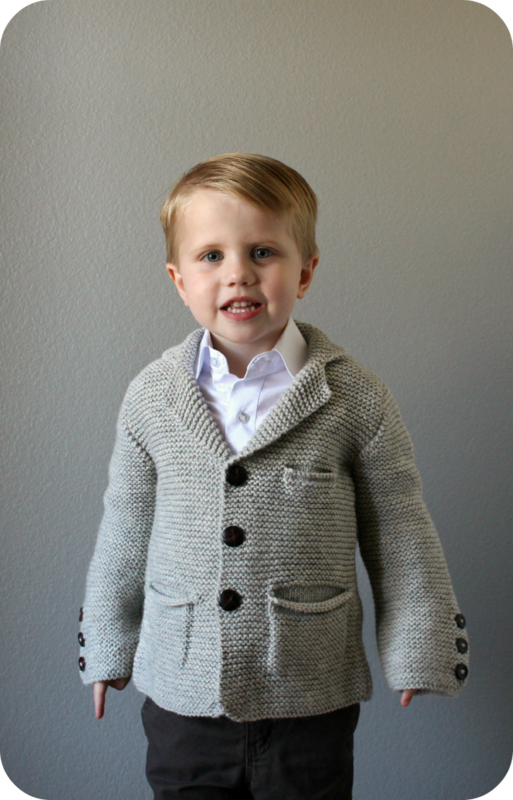 I so hope I can find the time to knit this for my little guy. He needs this! Thanks for pointing me to Andrea's website and this awesome collection. 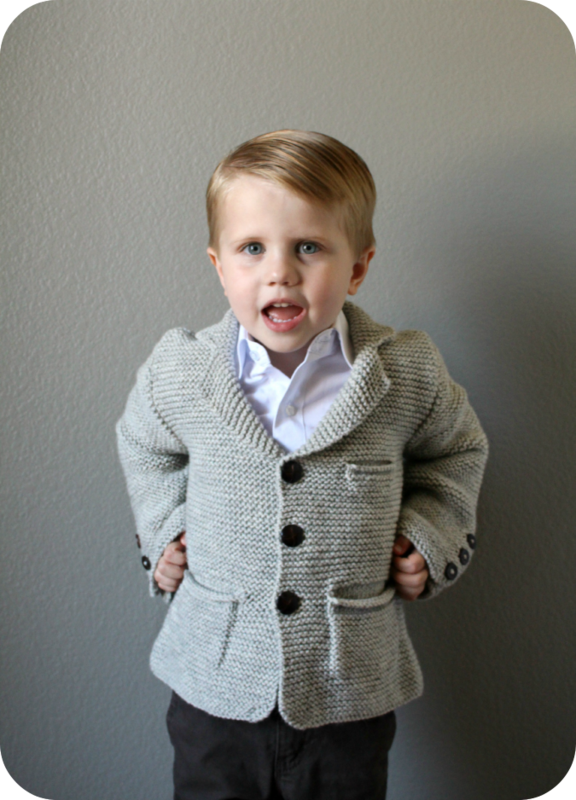 I have a certain grandson that will be styling in your knitted blazer pattern! Well he sure has gotten over his dislike for handmade knits! He is diffinately looking dapper. Fabulous! Thank you. Looking forward to your first fall podcase.